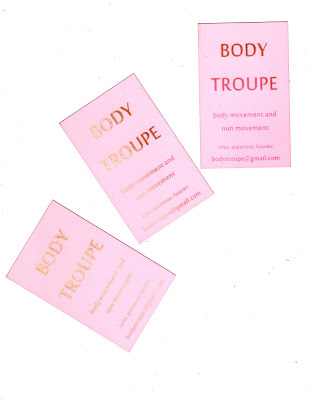 This Saturday Body Troupe will be performing for about an hour starting around 12:30pm as part of the Brother and Sister's Capture the Adventure 2011 at a secret location along the scavenger hunt. Thank you Michael Gaughan! Not part of the bike scavenger hunt? You are still welcome to come watch and/or move with us!